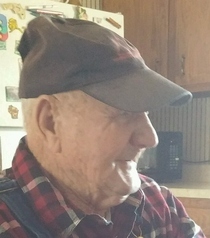 Charles Earle Jr., 89, of Linton, Indiana, passed away on Wednesday, March 23, 2016, in Sullivan. He was born on June 1, 1926, in Linton the son of Charles William Earle and Salome Goodson Earle. Jr. served in the US Army during WWII. He was preceded in death by his parents, and two grandchildren, Chad Shelton, and Becky Lynn, six brothers, Bill, Bob, Ray, Mike, Larry, and Herb Earle, two half-brothers, Aldrew Earle and Oscar Earle, and two half-sisters, Alice Smith and Vera Hildebrand . Survivors include his wife of 68 years whom he married in June 1947, Anna Marie Mitchell Earle, one son, Charles E Earle of Linton, five daughters, Joyce Ann Scott of Linton, Janice E Earle of Linton, Linda D Doerner (Mike) of Sullivan, Karen Sue Adams (Allen) of Sullivan, and Pamela K Passen of Sullivan, one brother, Morris Earle of Lyons, fifteen grandchildren, Michelle Smallwood Kirkland, Mike Summerville, Beth Haseman, Steven Earle, Jacob Earle, Travis Earle, Erik Greaves, David Shelton, Sarah Robb, Brandi Samm, Carrie Heaton, Shane Adams, Ryan Howell, Brock Howell, Paige Passen, several great-grandchildren and great-great-grandchildren. There will be a private graveside service. Arrangements were entrusted to Newkirk’s Funeral Home in Dugger, Indiana.